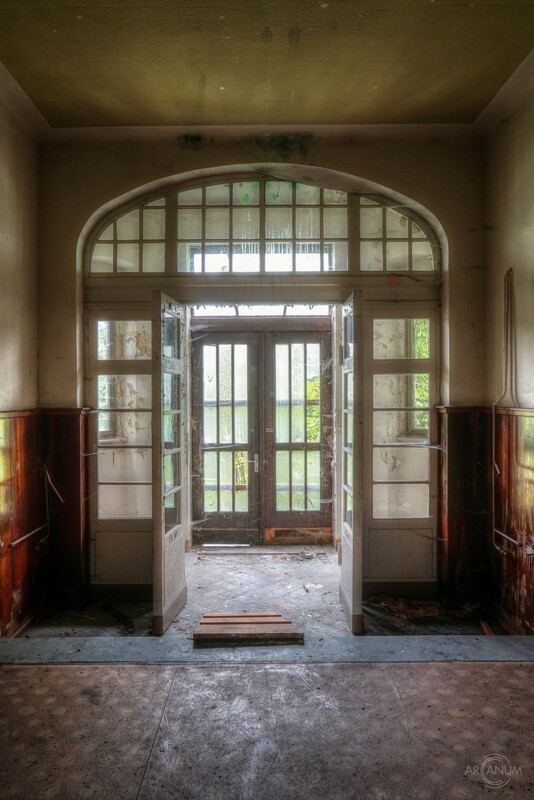 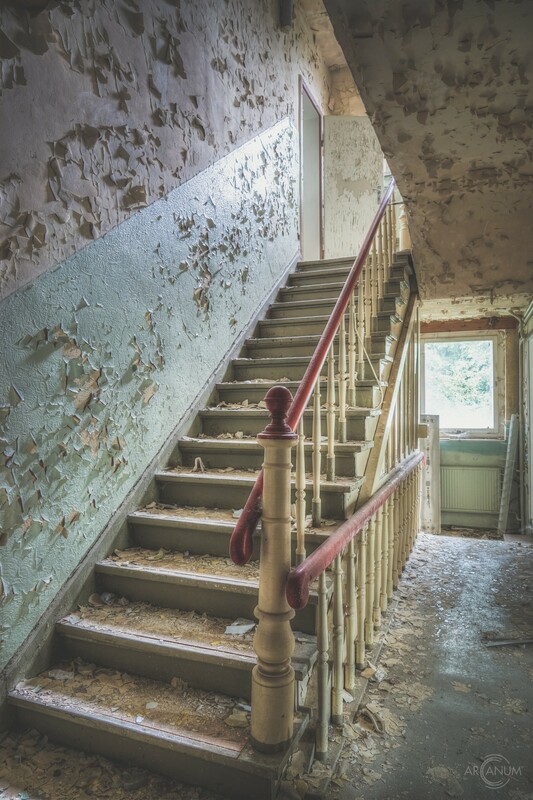 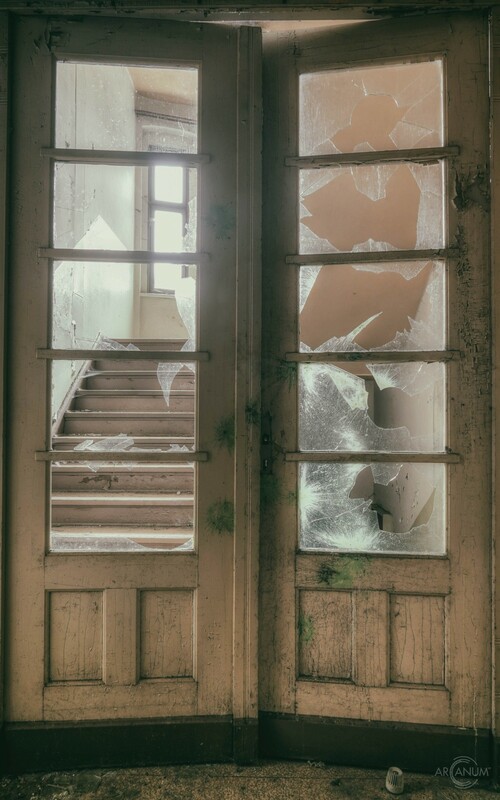 At the beginning of the 20th century, the "Kurhaus" (health resort) in a small city in the mountains of central Germany was turned into a sanatorium. There were two buildings. The smaller first building was used for the examiniation rooms, while the larger building in the back of the park-like property contained the sleeping rooms, water treatment facilities, kitchen and even a rather big cinema room. 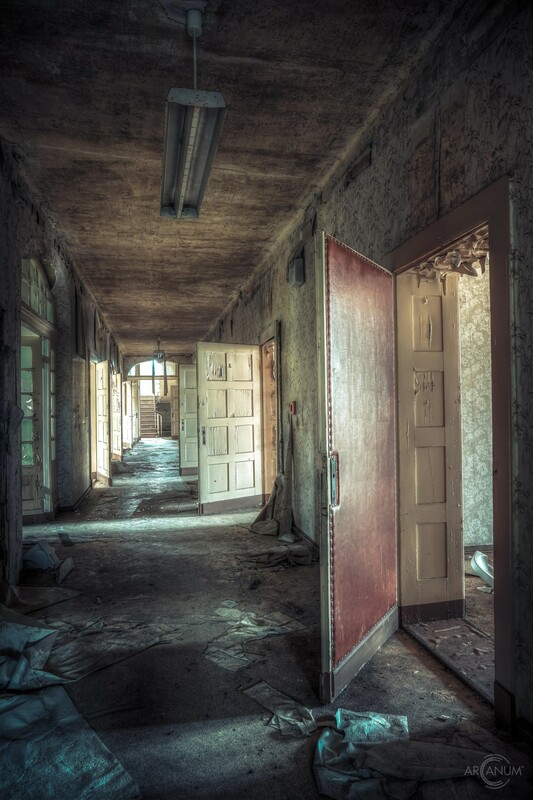 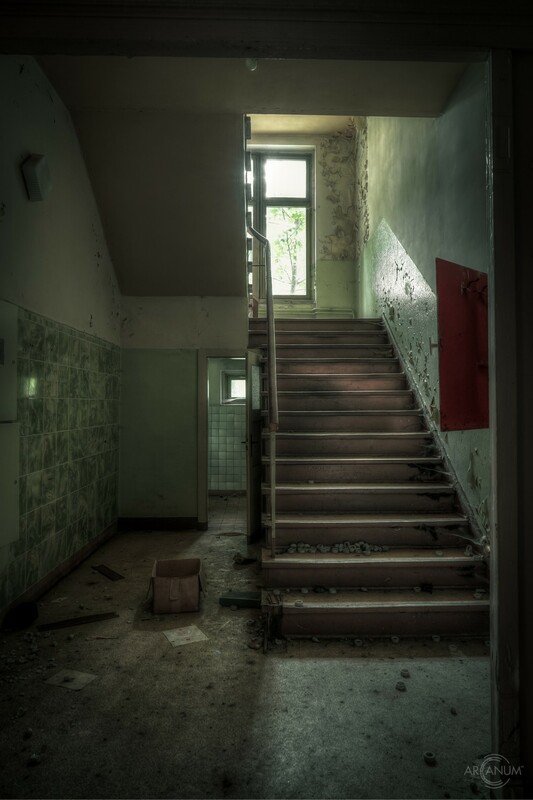 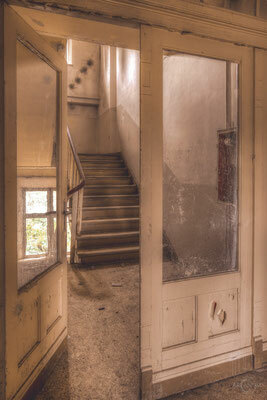 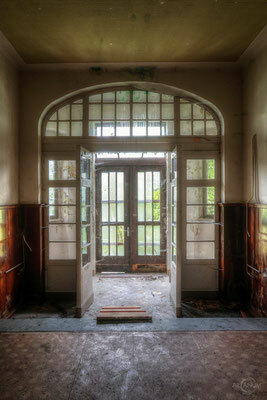 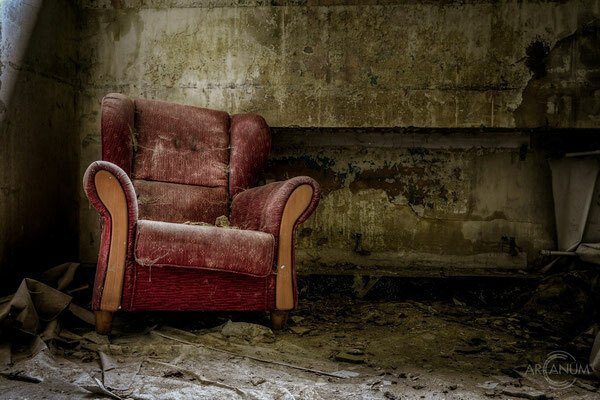 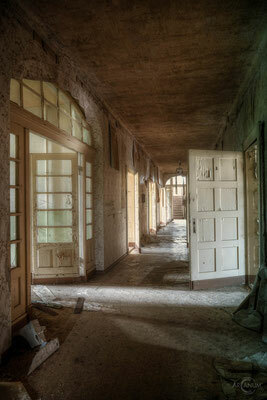 During both World Wars, the sanatorium was used as a military hospital. 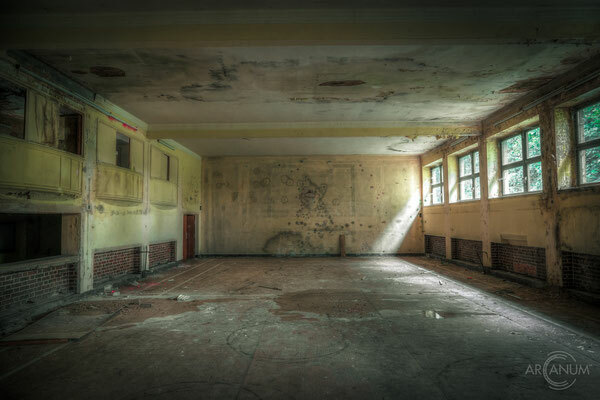 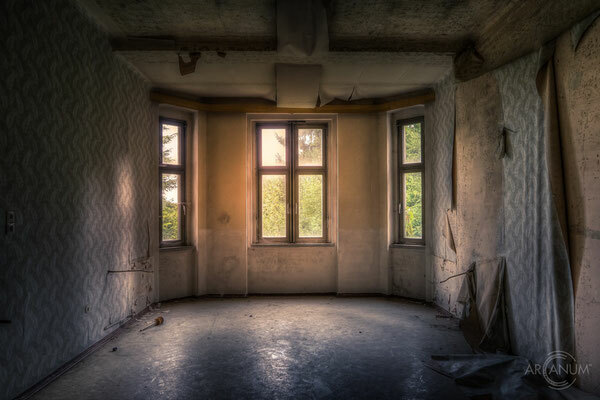 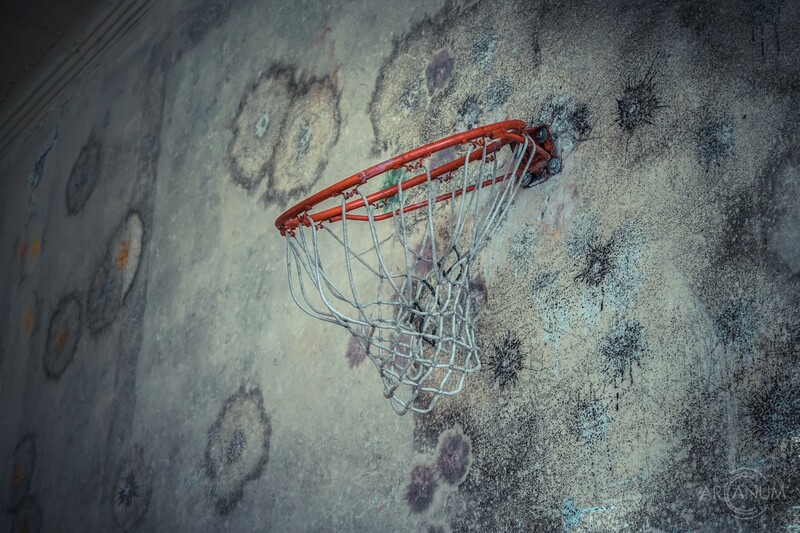 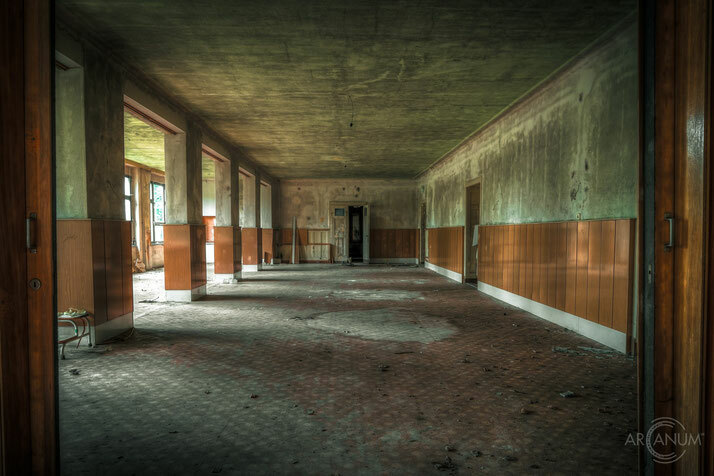 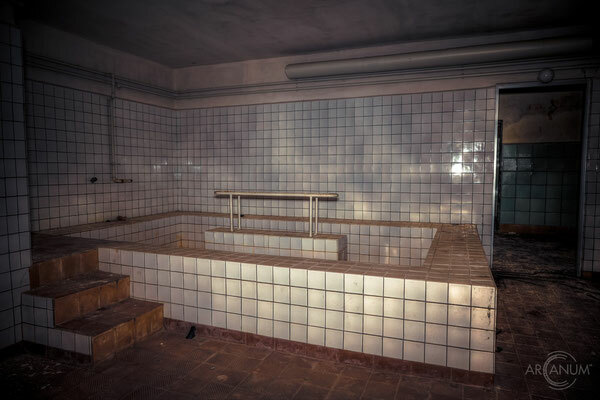 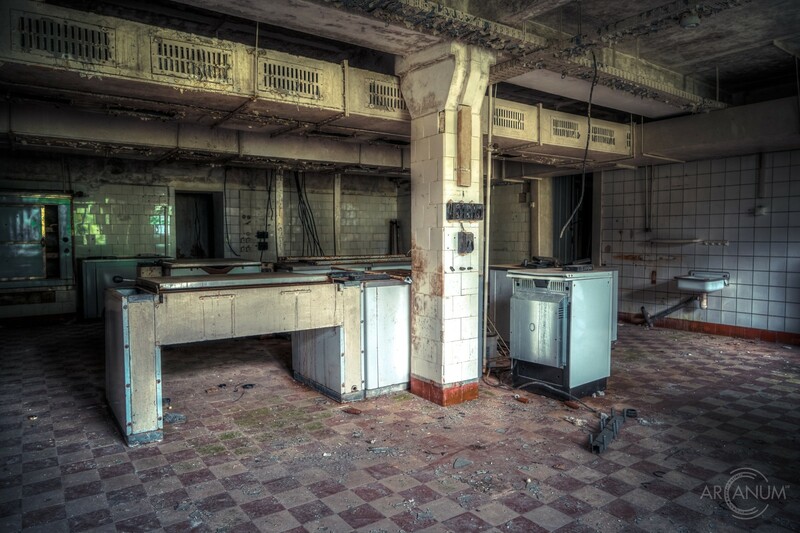 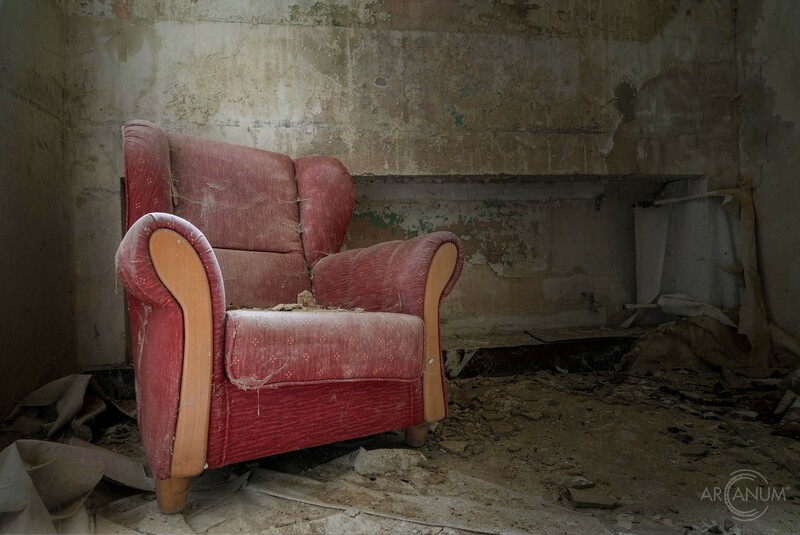 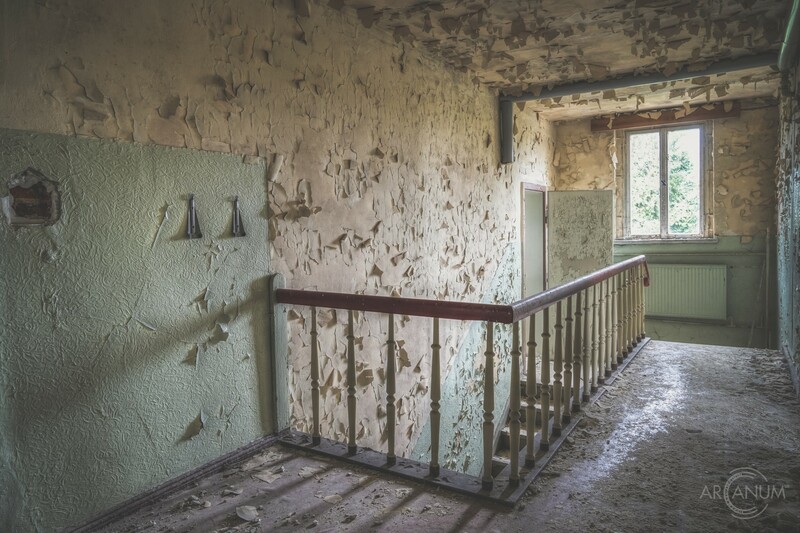 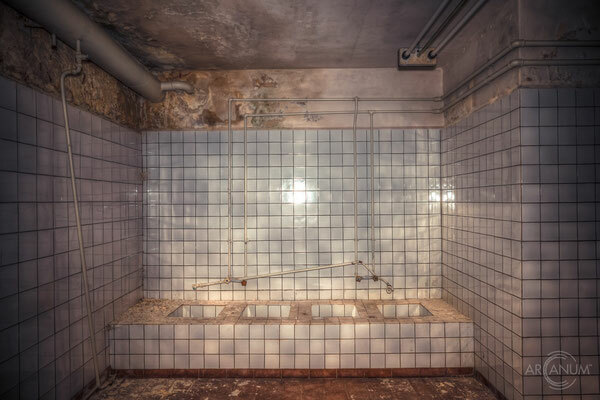 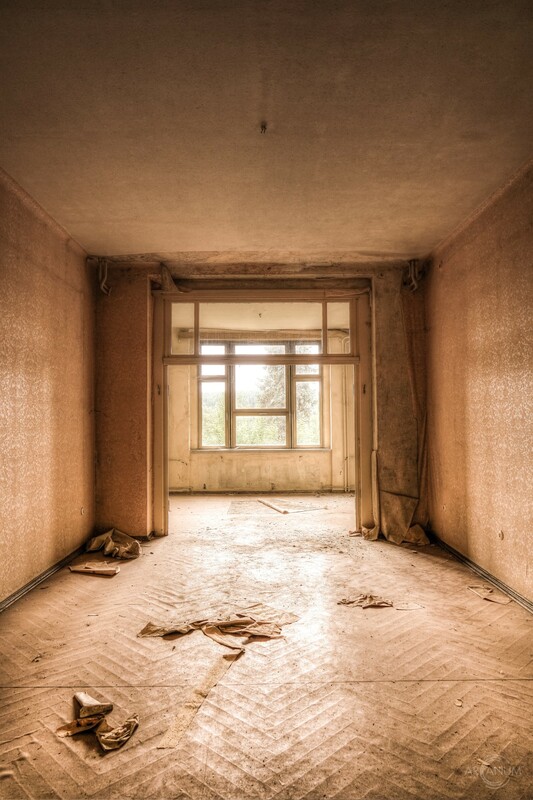 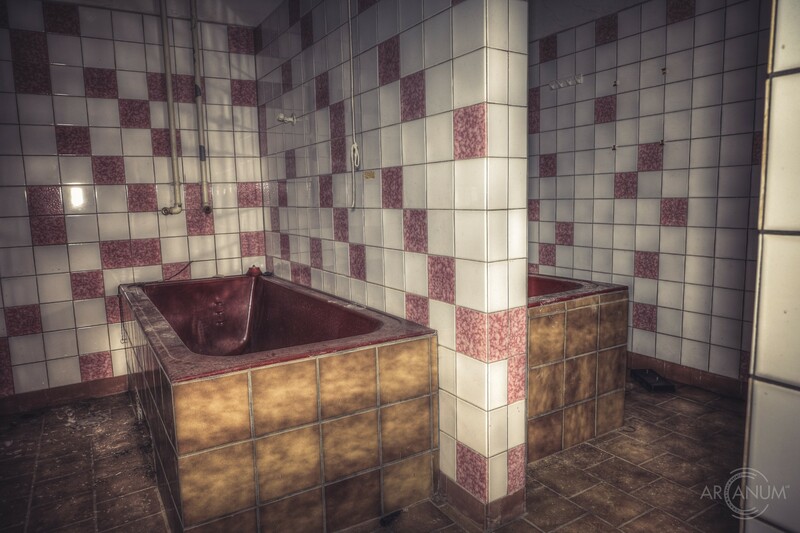 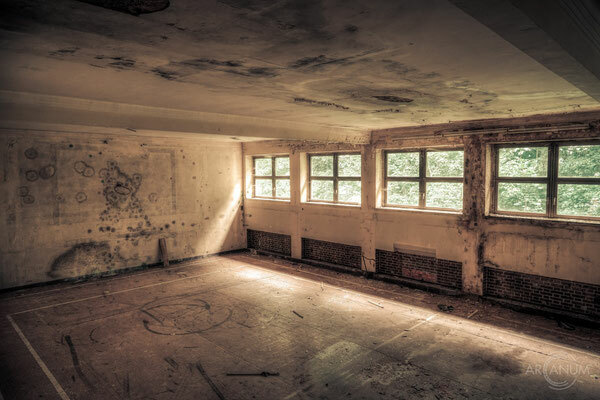 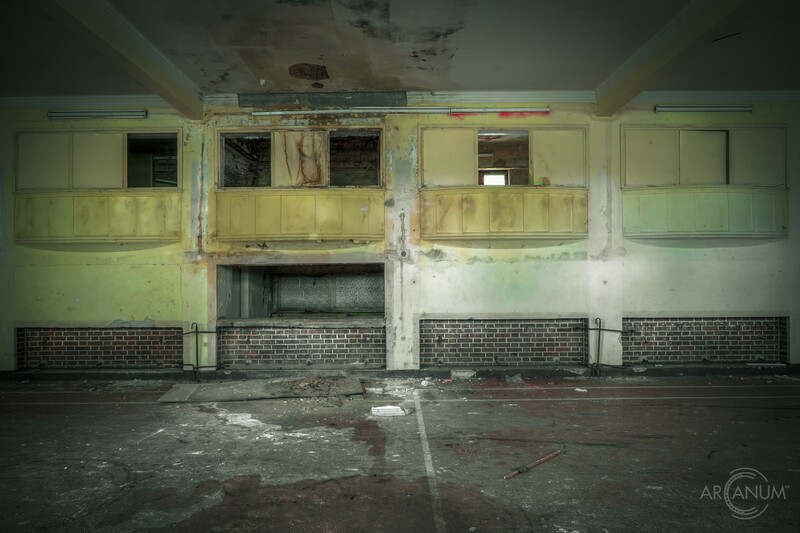 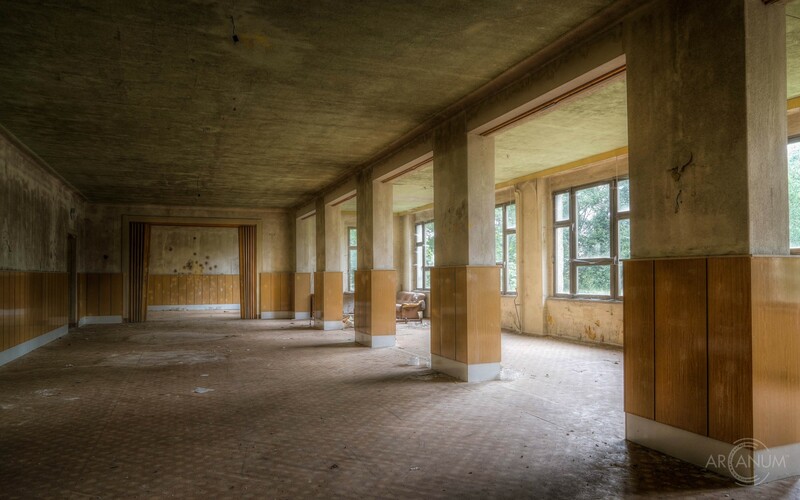 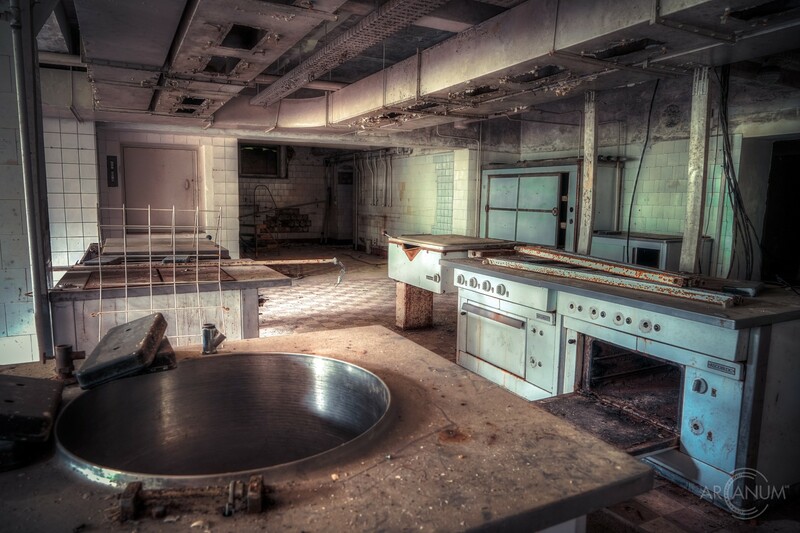 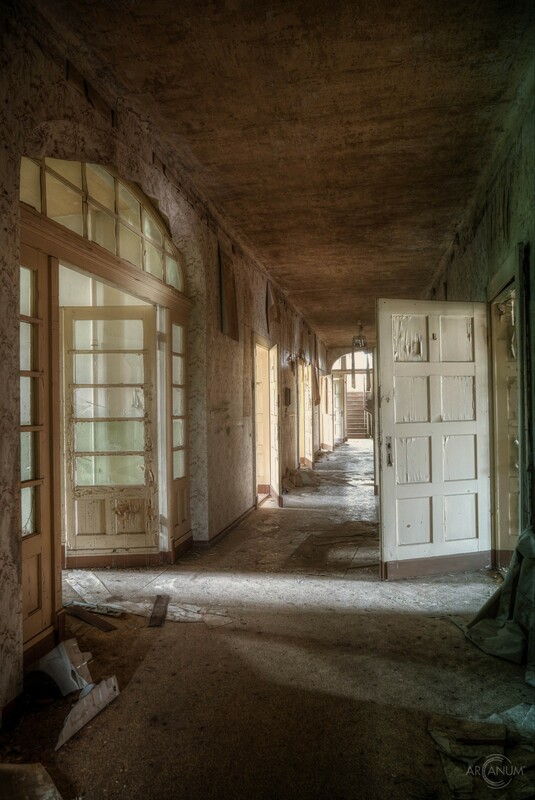 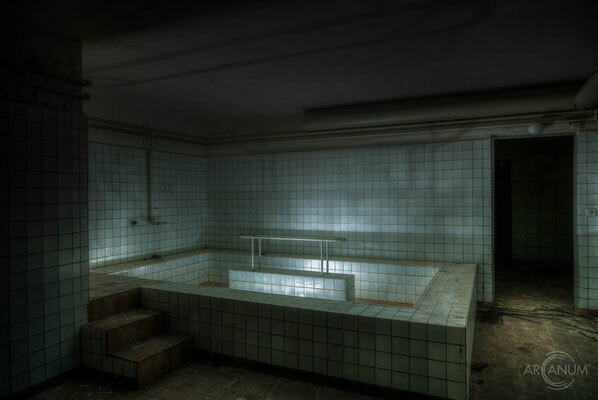 Later in the 20th century, the sanatorium was turned into a recreation home for East German workers.